NBC Sports Radio – Pro Wrestling 24/7 returns tomorrow at 8 pm EST/5 pm CNT. 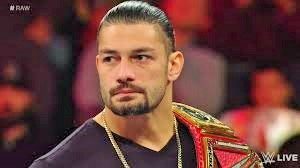 On this week’s show, Nick Anthony will discuss the shocking announcement where Roman Reigns spoke about his battle with leukaemia. In addition, Nick will also unpack the controversy surrounding the WWE’s decision to proceed with the Crown Jewel event in Saudi Arabia. This, in light of the revelation that the Saudi government admitted to knowing about the killing of a journalist, Jamal Kashoggi, which they initially denied. Tune in tomorrow at 8 pm EST/5 pm CNT to NBC Sports Radio – Pro Wrestling 24/7.